The bowl has shallow conical sides, very slightly convex, the small centre inside somewhat domed, the straight foot almost solid, with a broad shallow footring. 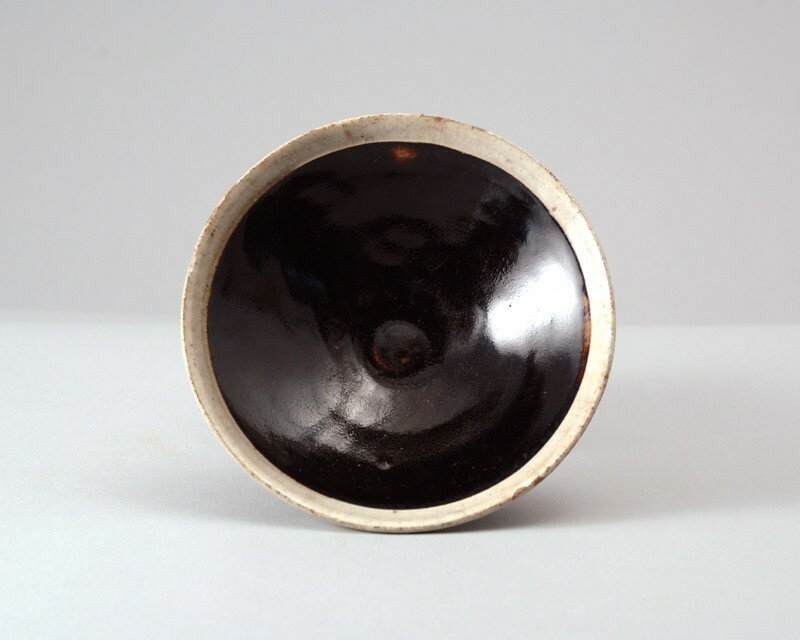 The glaze is of even pitch-black colour, with two small patches of transparent brown inside, where it is thinner, and ending unevenly above the foot, leaving foot and base exposed in the buff-coloured biscuit. The rim was wiped clear of black glaze, slipped in white and covered with a transparent layer of glaze, leaving on one side a narrow gap with slip but without glaze.